Allowing milk from hormone-treated cows in the United States into Canada under the Trans-Pacific Partnership will increase the cancer risk for Canadians while making it more difficult for the nation’s dairy farmers to export Canadian milk overseas, according to a scientist who lost his job after blowing the whistle on Health Canada’s attempts to approve the use of bovine growth hormones in Canada despite concerns over human safety concern in the 1990s. The TPP negotiated by the outgoing Conservative government will see dairy from the US to make its way to Canada without being subjected to the same standards that Canadian milk supply is subjected to. Canadian farmers are banned from administering bovine growth hormone (rBST) to boost milk production in dairy cattle, but the US Food and Drug Administration approved the use of rBST after heavy lobbying from the agri-giant Monsanto. Monsanto lobbied Health Canada to make rBST legal in Canada, and the department in turn pressured federal scientists to approve drugs despite concerns over human safety in the 1990s. 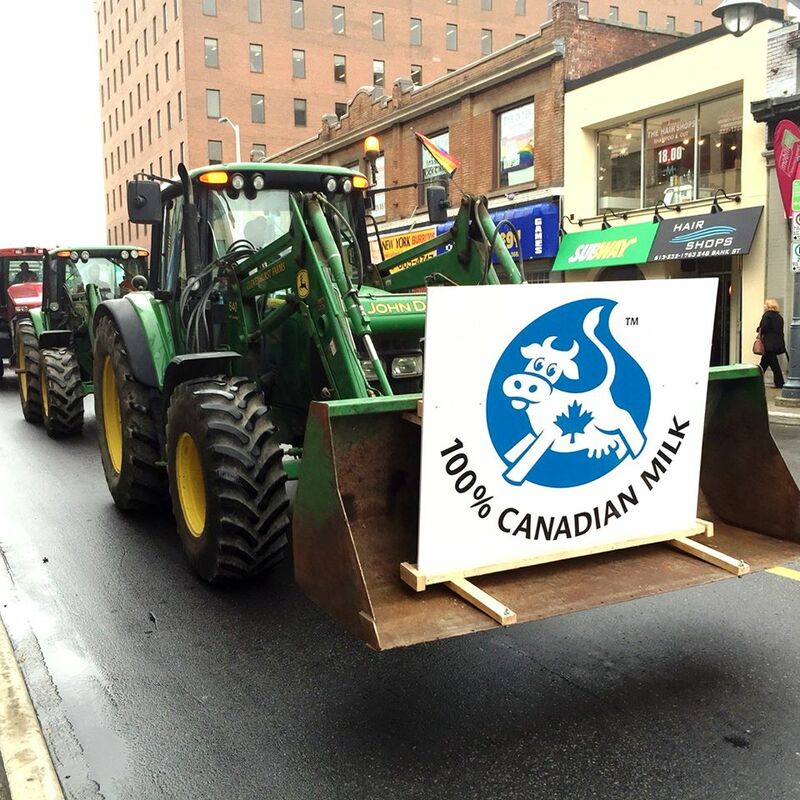 Dr. Gérard Lambert, Dr. Shiv Chopra, and Dr. Margaret Haydon blew the whistle on what was happening in Health Canada and lost their jobs as a result in 2004, but their sacrifices have kept Canadian milk rBST-free. Other scientists have also warned of the dire consequences of increase in insulin-like growth factor (IGF)-I in the milk supply. “Since 1984, most of the [US] milk supply has been contaminated with excess IGF levels resulting from the injection of cows with recombinant bovine growth hormone (rBGH) to increase milk yields,” Samuel S. Epstein, medical doctor and currently professor emeritus of environmental and occupational health at the University of Illinois at Chicago School of Public Health, wrote in the Journal of the National Cancer Institute. Instead of boosting exports, TPP will close European Union’s doors for Canadian dairy farmers, Dr. Chopra warns. Trudeau has already sold us down the river. So much for change. None of us know where Trudeau stands on TPP yet. Don’t mistake my comment for optimism. Trudeau has said he would withhold judgement on the TPP until after the elections. There is hope yet. I’ve heard that the TPP will force public radio to air commercials. I don’t want CBC Radio to have commercials. CBC Radio is a very important link that ties all parts of our country together, and they need to set policy themselves and be given every resource to keep doing their vital job.